In Cyprus, the role of civil society is crucial in enhancing democracy, environmental quality, peace, human rights, education, cross-cultural communication and contact. The ‘Cyprus problem’ has been famous for its elements of ‘intractability’ and a long lack of physical contact between its larger communities after their painful conflict has fuelled pessimism on the future of Cyprus as a united island. However, civil society activities have been burgeoning during recent years showing new ways in which people from across the divide can engage in meaningful dialogue to discuss a range of issues of common concern. The policies of the United Nations, the Council of Europe and the European Union have explicitly stated their desire to see the development of civil society in which active and democratic citizenship flourishes as a means for stability, tolerance and democracy. Balanced History education is crucial to such progression. 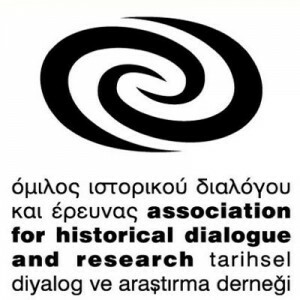 In this project, the lead local partner will be the Association for Historical Dialogue and Research- a democratic Cypriot NGO/Association that includes academics, researchers, social scientists, educators (historians, history teachers, teacher trainers) and curriculum developers. There will be four training seminars involving educators from both parts of the island- with the objective of developing teaching materials and an innovative pedagogy which tackles multi-perspectivity. Several levels of multiperspectivity can be distinguished: sources, reconstruction, interpretation and implications for the present. The first level is about representations of different and opposite players in the past, the second addresses different reconstructions and alternative interpretations and the last level deals with conclusions we can draw from the respective experience in the past for the present. Obviously, we may therefore derive different images of the same past. Seminars will focus strongly on innovative, active learning techniques with an emphasis on understanding the perspective of ‘the other’, on anti-racist stances and on combating xenophobia in order to promote peace and tolerance within a diverse and multicultural world. Through sharing information, training experiences, reflection and feedback, piloting and resource development over the space of a year we anticipate building a local team with strong interpersonal links and high levels of commitment to the aims of the project- at the end of which will culminate in the publication of innovative materials, and a strengthened group which can disseminate their learning locally and act as ‘multipliers’ as well as taking a confident part in civil society. Strengthen and support the professionalisation of the local history teachers associations and build opportunities for on-going links and dialogue. The reinforcement of civic society within the History education communities. Coordinator: Ms. Dr. Chara Makriyianni (President of The multi-communal Association for Historical Dialogue and Research). Trainers: Melisa Foric, Denis Detling, Emina Zivkovic.